The first litters of Iberian lynx born in the wild in 2018 have just been confirmed. Three females of this Endangered species, gave birth to four young each of them, announced the Institute of Conservation of Nature and Forests (ICNF) this week. The conservationist effort to bring this bearded feline back to Portugal continues to bear fruit. 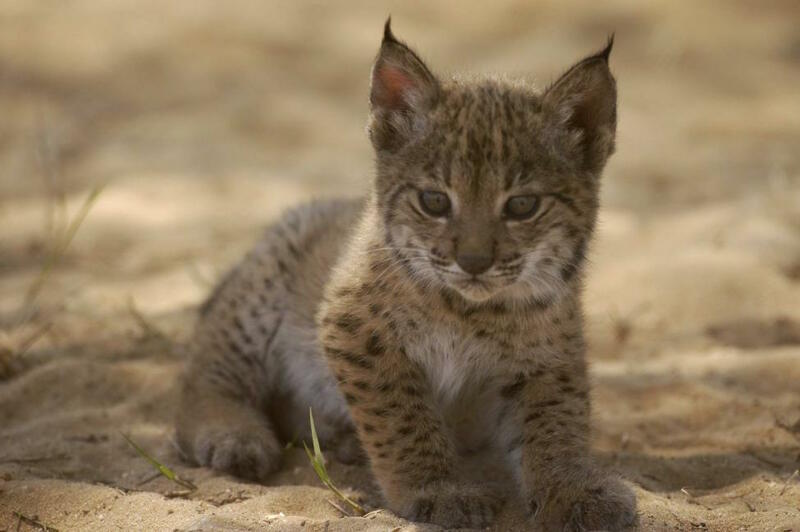 After 16 cubs were born in the Vale do Guadiana (Guadiana Valley, south of Portugal) in 2016 and 2017, this year there is confirmation of 12 cubs in the only Portuguese population of Iberian lynx (Lynx pardinus) in the wild. These animals, now two months old, join a population estimated at 41 lynx. Of these, 27 were reintroduced over the last four years. For now, the photo-trapping cameras installed in the lynx reintroduction area of the Guadiana Valley and the field follow-up team confirmed the litters of three females. According to an ICNF statement, Mirandilla had four cubs, most likely with male Navarro. This lynx was one of the first to be born free in 2016. “Confirming this paternity, this will be the first case of reproduction of a lynx already born in the Guadiana Valley and so we will be in the presence of a second generation of the species, born in the field, in Portuguese territory “, emphasizes the ICNF. The other four cubs are from Jacarandá, a six-year-old female and the first to stabilize territory in the municipality of Mértola. Together with the male Kathmandu, these were the first lynx released in Portugal, inaugurating the effort to reintroduce the species in our country on 16th December, 2014. Jacarandá is a historical lynx also for another reason. In May 2016, we learned that this female gave birth to the first confirmed lynx cubs in the wild for the last 40 years. The reintroduction of Iberian lynx into Portugal is part of the transnational LIFE Iberlince project (LIFE + 10 / NAT / ES / 000570), which aims to establish stable and viable populations of the species in the Iberian Peninsula. The Iberian lynx is one of the most endangered wild felines in the world, one of the charismatic predators. It is a species classified since 22nd June, 2015 as Endangered, after years in the highest category awarded by the International Union for Conservation of Nature (IUCN), Critically Endangered. At present the world population of Iberian lynx is estimated in 547 animals. Of these, 448 live in Andalusia. And more than 40 in Portugal. 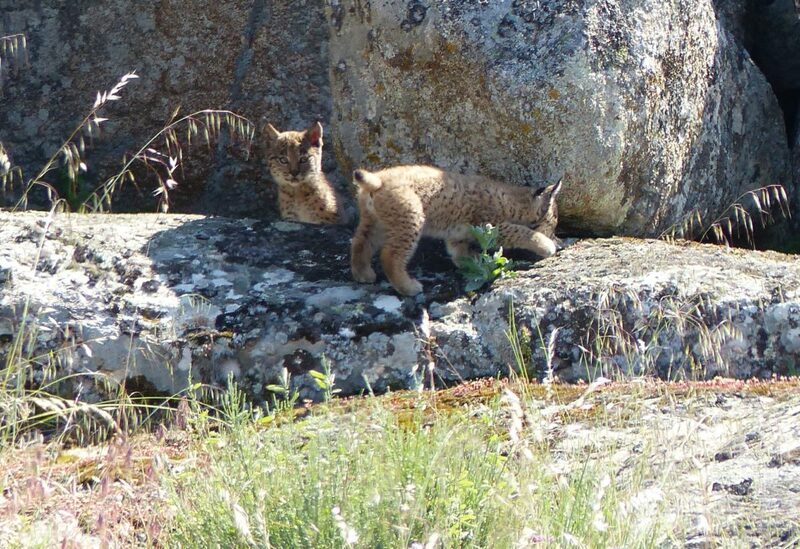 By this time, there are at least 12 lynx cubs exploring the Alentejo fields. Now it is your turn. Know what to do when you see a lynx. Seeing Iberian lynx in Portugal it´s not impossible anymore. You have to be prepared. You must know that there are more chances of finding them during the twilight periods (at dawn and dusk), since it is when the animals are more active. And you can also vote for the names of the cubs that are born in the Guadiana Valley.